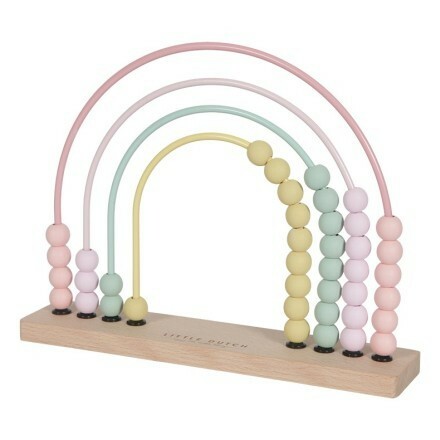 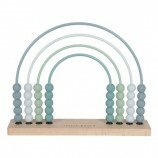 Learning how to count will be more fun with this Little Dutch abacus.The rainbow abacus is made of four coloured metal arches on a wooden base with 10 wooden beads on each arch. 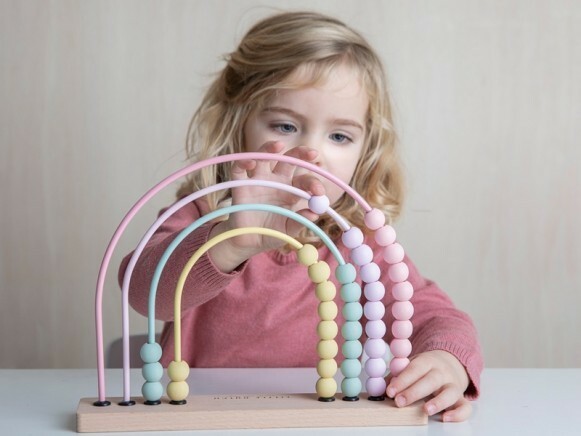 The abacus is not only educational, but also an eye catcher in the play room, living room, child’s bedroom or actually in any room! Available in blue and pink. 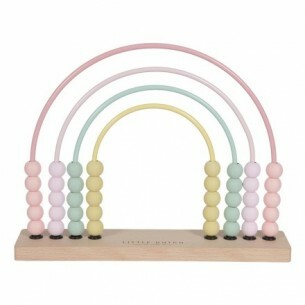 Perfect for children aged 12 months+.